The Dictionary of Victorian Insults & Niceties | Together we can give the nineteenth century a voice in the twenty-first century. Victorians were like kittens: drinking from saucers! 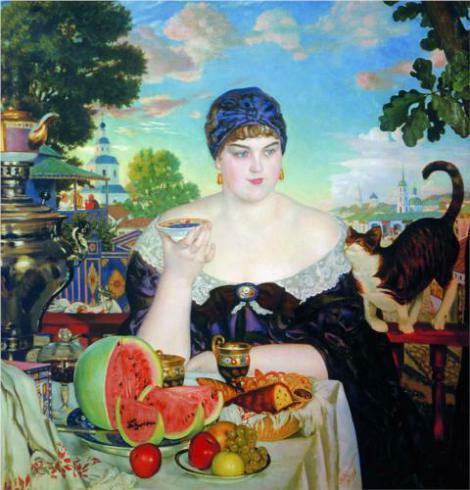 By Boris Kustodiev. Found here. By Konstantin Makovsky. Found here. From Ingalls-Wilder’s Farmer Boy we know tea was poured from the cup in the saucer, and then drank from the saucer. This was generally done by older people, while younger people thought it was bad form or old-fashioned to drink from the saucer. 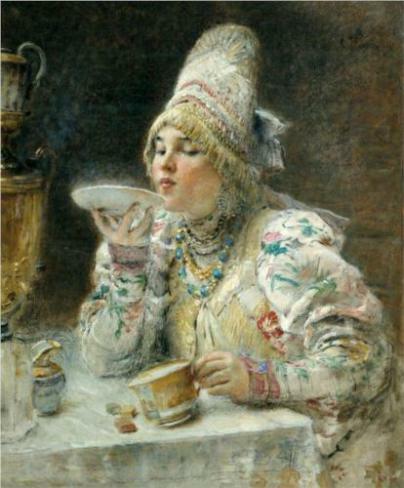 Research online seems to show most drinking-from-saucers took place in Scandinavia en Russia, and that the habit was probably taken to America by European immigrants. Any reference to the notion of Victorian fatherhood typically brings to mind an image of a distant and sever man. Dr. Julie Marie Strange challenges that image in her new book: Fatherhood and the British Working Class, 1865-1914″ (2015), and the Oxford English Dictionary (OED) supports her findings. 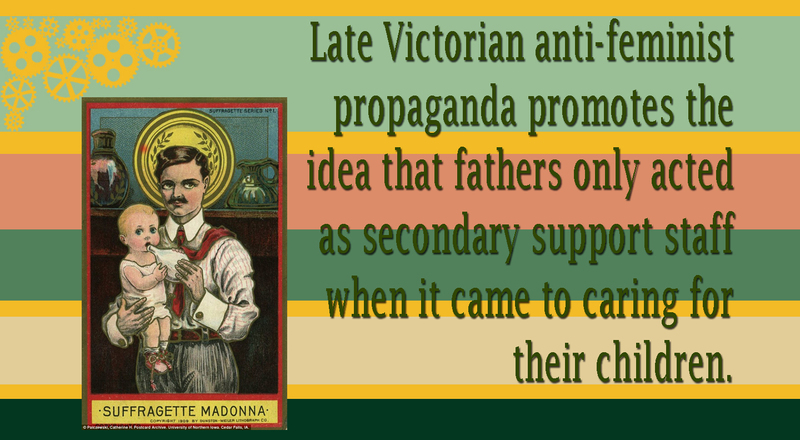 Strange found that Victorian fathers were as hands-on as today’s dads, talked about the same way, and had affectionate relationships with their children. Likewise, the OED indicates that more synonyms for “dad” were created during the nineteenth century than at any other point in history. The long list of Victorian pet names for dads may simply reflect the fact that more words were created during the Victorian Era, or it could be a reflection of a broader trend in the history of fatherhood. Words like “paw” (1826), “governor” (1827), “pop” (1828) and “bap” (1842) sound overwhelmingly affectionate, leading me to conclude that Victorians must have been talking, reflecting, and writing about fatherhood more than ever before. But this “more than before” aspect is part of the trend, as Strange’s research found that Victorian dads were being praised as “new men” and better parents than their fathers had been, something every generation of fathers has been told since. Lost for words to describe how you feel about this? A few more synonyms for dad might help. Whatever your kids call you now, I hope all the dads out there have a happy Father’s Day this weekend. 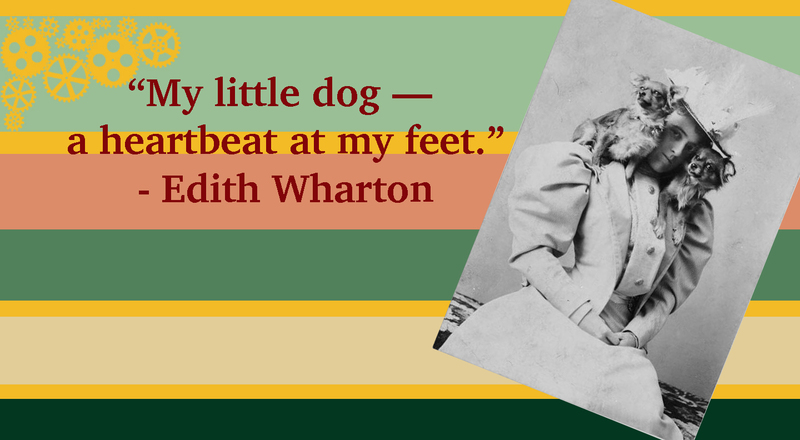 Happy Writer’s Quote Wednesday! H.G. 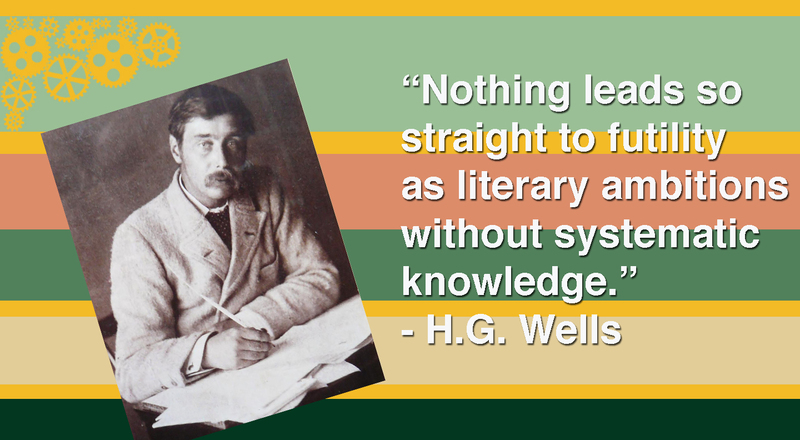 Wells was a prolific English writer, who began publishing in my favourite literary decade of the moment: the 1890s. I chose this quote because it opens many doors in the conversation about writing. First, it exposes a gap in my knowledge. As my 1890s literary research focuses more on Oscar Wilde and Bram Stoker, I do not know the source for this quote, nor its context, only that it has been attributed to Wells, which in the supreme irony of Writer’s Quote Wednesdays may render everything I write on this subject futile. Certainly, my blog post’s effectiveness depends on my success at opening doors in the conversation about writing, which might be misconstrued as a literary ambition steeped in futilitarianism (another fantastic Victorian word). futilitarian (1827): one who is devoted to futility. On the surface, Wells’ advice to writers may be read as the familiar: “Write what you know,” which is ironic in Wells’ case because his most successful works weren’t at all about things he knew, but about things that he imagined. It might be argued that Wells knew about Time Travel before he wrote the Time Machine (1895), but can you know about something imaginary? Certainly, you can know something and not think it is real, and certainly Wells thought so too, or he would have considered his own work futile. By “systematic knowledge,” I don’t think he was talking about the sciences, or systems of government, or some understanding of how things really are, but rather about a familiararity with how the history of an idea is organized. This is especially true of literary ambitions. 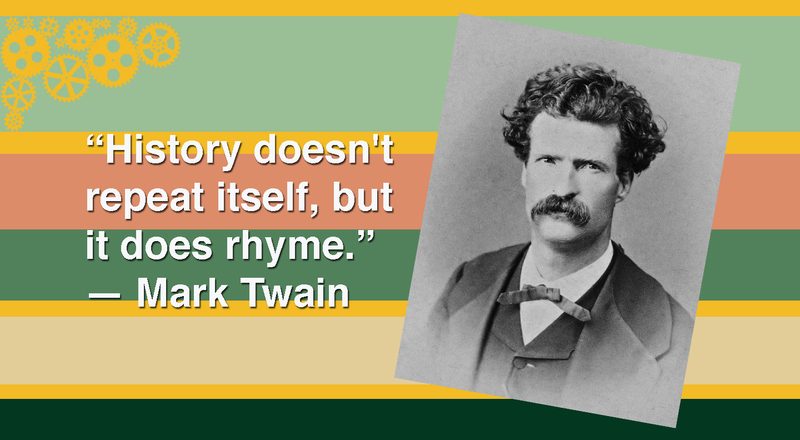 literaryism (1879): a use of language that is particular to writing, like a literary device, or cliché. Language is not just a means of communicating such ideas, but an idea itself. I don’t think Wells was speaking specifically about the idea of language, though he might have been speaking about the idea of time travel – both of which provide interesting examples of the history of an idea. The dictionary I am working on traps the history of words that are particular to a period in their context, in terms of their usage at that time. However, any particular word, or phrase, may have meant something else at earlier, or later, dates. The history of time travel tells us that until at least the eighteenth century the concept of time travel only involved travelling forward in time. Time only moved in one direction. King Raivata Kakudmi in Hindu mythology, the Buddhist Pāli Canon, and Rip Van Winkle, all get preoccupied with some other task (trips to heaven, a very long nap) and find that far more time has passed than they previously thought possible. There was no going back until (debatably) the first Russian science fiction-novel (1836), in which the protagonist rides a hippogriff into the past to meet Aristotle and Alexander the Great before returning to the nineteenth century. Throughout most of the nineteenth century, time travel happened in dreams, by magic, or by accident without significant consequences for anyone other than the time traveller – until Edward Everett Hale published Hands Off in 1881. 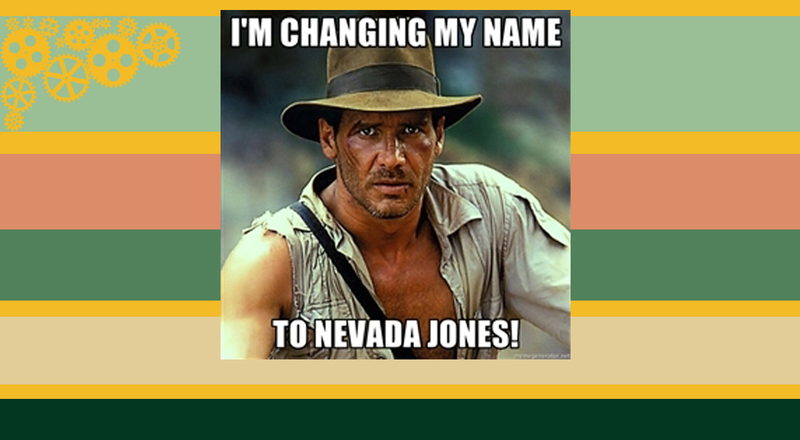 Hands Off is the first story to create an alternate history as the result of time travel. That same year also saw the introduction of a device for time travel in “The Clock That Went Backward” (1881), a story that also presented the first temporal paradox in fiction. To my mind, this kind of history of time travel is the kind of “systematic knowledge” that Wells likely relied on to write the Time Machine (1895). Familiarity with the history of an idea enriches the writer’s understanding of the idea, enabling them to access the intertextuality within any genre, thereby creating richer texts. I would never argue that writing without knowledge of the genre is futile, but it is hard to imagine a modern time traveller moving through time and space without something like a Police Box. 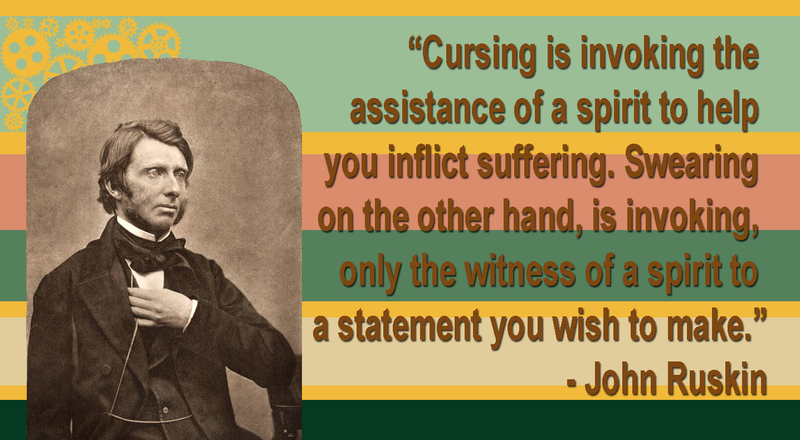 All of this goes back to why I am writing the Dictionary of Victorian Insults & Niceties. I’ve put a lot of work into the historical fiction that I’m writing and see no reason why other writers shouldn’t benefit from my work. If you want to learn about a different culture, learn its language. Even if the language is the same, the time and context of otherwise familiar words can change their meaning. At least, this has been my experience when studying French and German, as well as in my investigation of the late Victorian era. That being said, some people will tell you that if you want to learn about a different culture, you have to eat its food. Victorians loved their cake. The word cake has Scandinavian roots and, in Middle English, described a flat bread roll. The first thing I find, when searching the Oxford English Dictionary (OED) for 19th-century words containing “cake,” is ash-cake, which first appeared in English in 1809 and refers to a cake that is cooked in the ashes of a fire. This recipe was popular in English colonies, where resources were scarce. Looking over that recipe, I think it needs more butter, and then, I want a scone! Through colonizing the Cherokee, Chickasaw, Choctaw, and Creek People, English-speakers learned to make corn cake, a cake often associated with the American South, which actually belonged to its indigenous people. 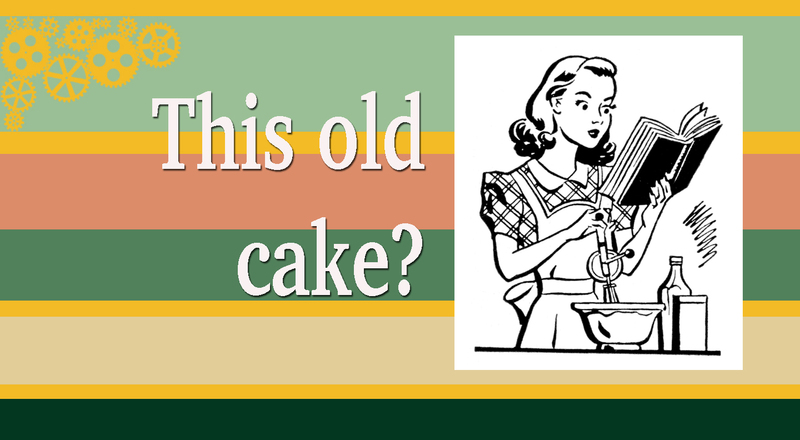 “Baby-cake” doesn’t mean what you think it means, but is a seventeenth-century word that was still popular in the nineteenth century and used to describe cakes with a prize baked inside. The prize might be a bean, though I can’t imagine being pleased to find a bean in my cake, but coins were popular hidden treasures as well. I remember my mom baked me a birthday cake like this once when I was a child. Sponge cake recipes date back to the seventeenth century, but they weren’t called such until one was named after Queen Victoria, who ate them every day! Saturate that cake in alcohol, or cordial, for a chance to use another Victorian word: “tipsy-cake.” If it’s saturated in booze, you’d think it would be properly drunk, but “tipsy” is a more delicate word by a mile. In 1801, Coenraad Johannes van Houten was born in Amsterdam. 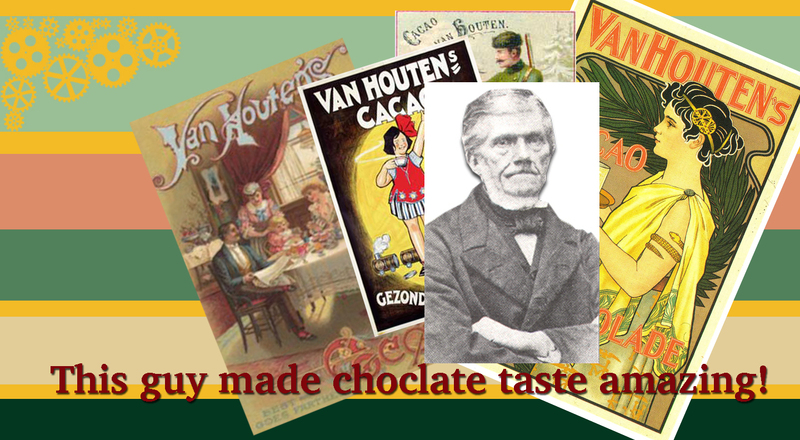 He would grow up to be a chemist, who would make chocolate cheaper, saltier, sweeter, and easier to use, introducing Dutch Chocolate to the world and allowing the creation of modern conceptions of chocolate, like chocolate-, or “cocoa-cake,” an 1883 word. The OED places the coining of the term “pat-a-cake” back to 1883, but, if you view the term as a variation of “Patty Cake,” it goes back to Thomas D’Urfey’s The Campaigners (1698). Patty cake, patty cake, baker’s man, Bake me a cake as fast as you can; Pat it and prick it, and mark it with a B, Put it in the oven for baby and me. In nineteenth-century American slang, however, “patty cake” referred to the pastry, while “pat-a-cake” described the game played with clapping hands. “Patty cake” might have been used to describe one of America’s greatest inventions, until the term “cupcake” was invented. The first American cookbook writer, Amelia Simmons invented the cupcake with her publication of American Cookery (1796), but Eliza Leslie (also American) coined the term in 1828. Now, if you will excuse me, I might just go and bake a cake with one of, my friend, Lili’s amazing recipes! Writer’s Quote Wednesday: I GOT A PUPPY!!!! 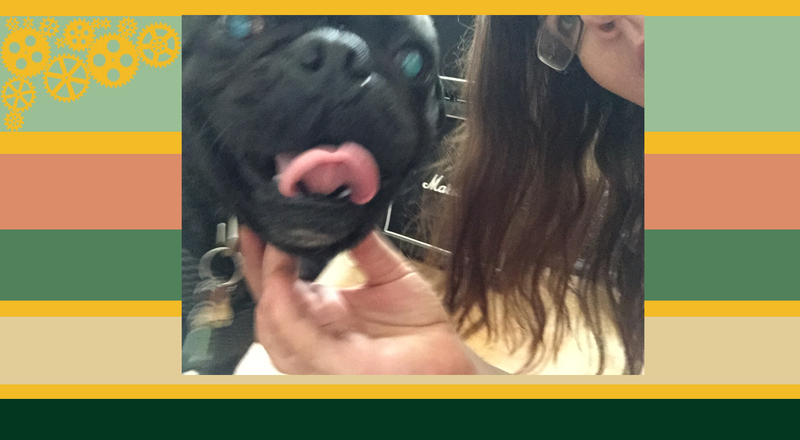 I almost forgot to do my Writer’s Quote Wednesday post today because I GOT A PUPPY!!!! I don’t think there’s any need to explain the quote I chose, so I will just share a pic of my puppy instead. I should tell you some stuff about Edith Wharton, but my puppy is being cute… What should I name him?